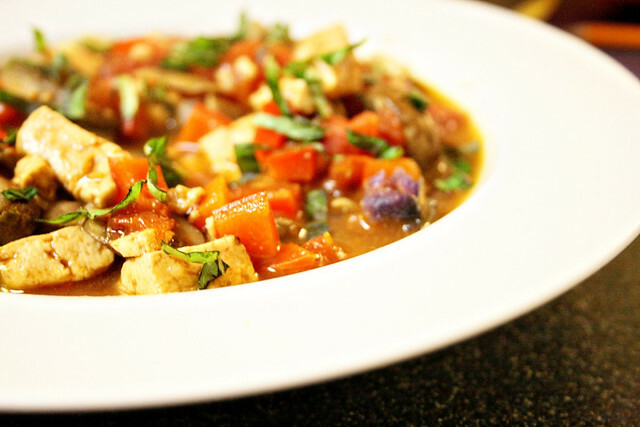 This is a wonderfully hearty dinner that is especially great for someone who is new to cooking with tofu. I don’t understand the backlash that exists for such a harmless and mild ingredient. Some people don’t want to go without meat, I get it! But let’s not take it out on our pillow-y soy friend with (nutritional) benefits. 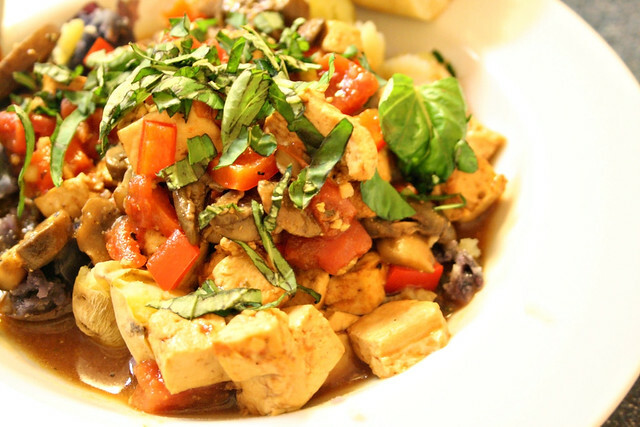 In this recipe, loosely adapted from Moosewood Restaurant’s Simple Suppers, you are required to do nothing more than tip the tofu into a pan to which you’ve been sauteing some vegetables and cook it through in the sharp tomato and winey juices. I’m pretty far from being vegetarian myself, and extremely far from vegan, but I enjoy making delicious meat-free dishes that lighten our animal protein load. 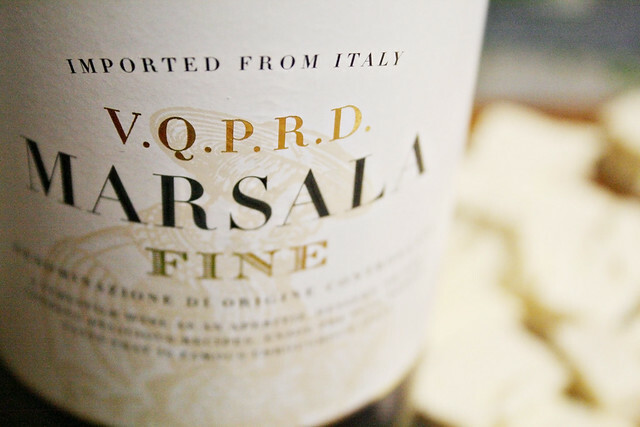 Don’t be intimidated if you’ve never used Marsala before. 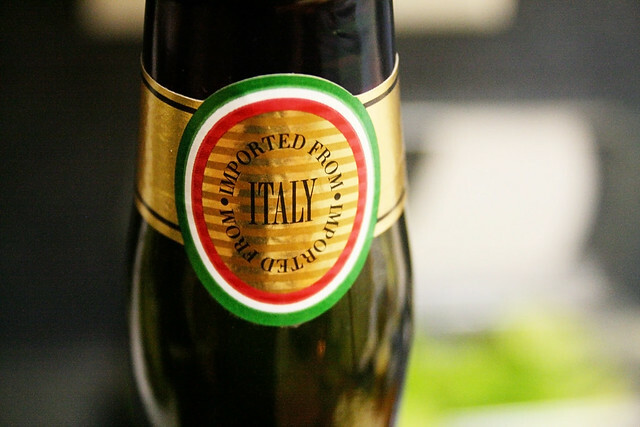 It is a fortified wine, but it’s not fancy and you can find it inexpensively in the wine aisle. I always keep some one hand because I love the flavor and it’s so affordable. I served this over roasted red, yellow, and purple new potatoes, but the next day I ate it over mashed potatoes, and let me tell you, I enjoyed taking this dish’s vegan flower with all due hardness. It was like a party in my mouth, and absolutely no one was throwing up. – In a deep skillet over medium heat, warm the oil and cook the garlic for 10 seconds before adding the bell pepper, oregano and 1/2 tsp salt to get the juices going. Cook, stirring frequently, for five minutes. 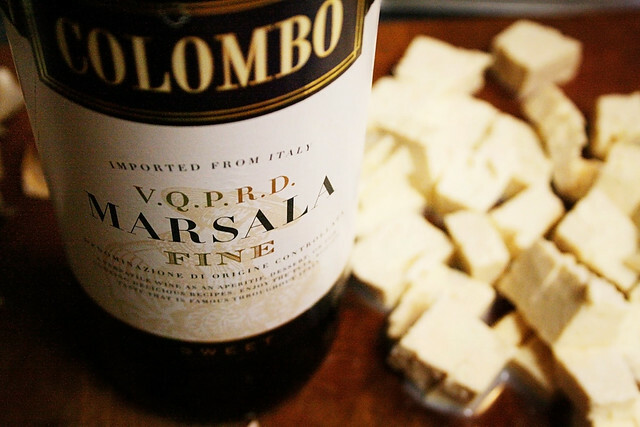 – Add the Marsala and tofu and cook on high heat for four minutes. The wine will reduce and build flavor and intensity. Add the mushrooms and tomatoes and cook on medium-high heat for five minutes. 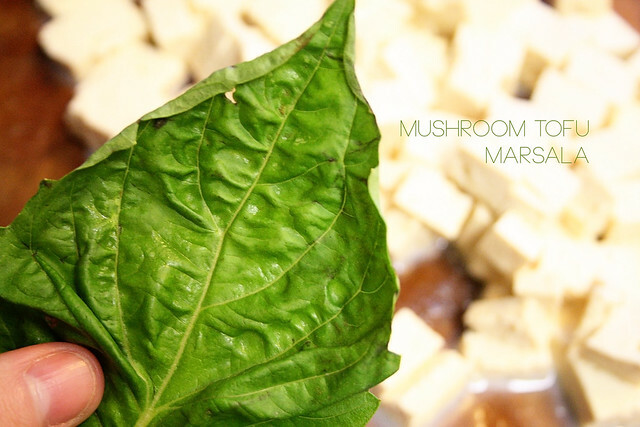 – Remove from heat, taste to adjust salt, add pepper and stir in the fresh basil. Reserve some basil for sprinkling over the top and serve with crusty bread and maybe some form of potatoes. Serve with a decadent sprinkling of grated Parmesan cheese if the non-vegan spirit moves you (as it always does me). Want to try this tonight!! How much Marsala? I don’t see it in the ingredients list. Unfortunately I need measurements and don’t do well winging it! Thanks! Oh, I can’t believe I left it out! Fixing it now–thanks for the head’s up! Oh, and Marsala is very affordable. The kind I buy is about seven dollars. Thanks! I’m looking forward to it and will let you know how it turns out! YUMMY!! We ended up making it last night, and it was so easy to make and so YUMMY! 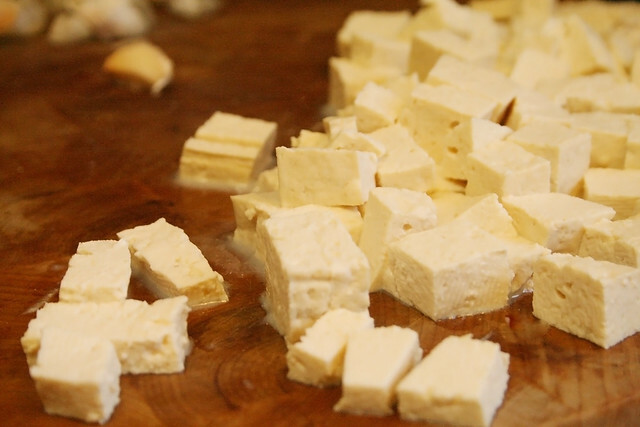 I’ve been searching for meatless recipes, and this was my first tofu adventure. We loved it! Thanks! !